Deidre's Discoveries: May & June Empties! We all enjoy posting about our empties. What may seem like trash to others, it's rewarding to me to see what I finally finished. Instead of letting products get used a few times, then tossed aside, then thrown away because I no longer like it or it has expired. These are things I finally got through. I still have a ton of product to get through, and I don't make as big of a dent in my piles as I would like, but I made some progress. It's so hard to finish makeup products for me. Even if I wear make up everyday, I seem to have a hard time using the same thing every single day, and finishing it completely. 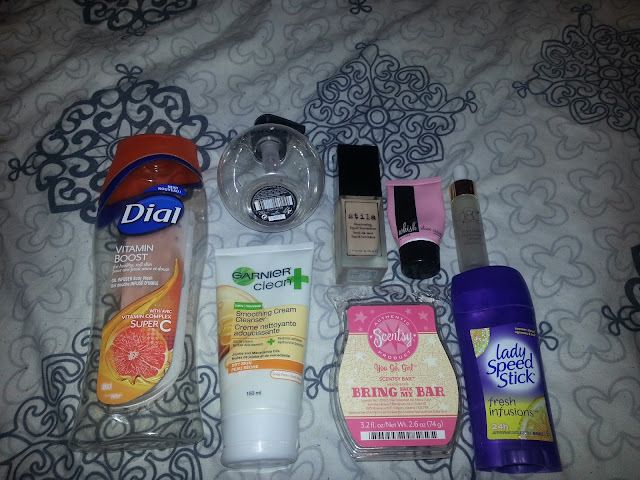 Here are my empties for May and June. See, I didn't get through TOO much! I didn't even know there was oil in this until right now, as I wrote this review lol. Anyway, I liked the scent of this one and it seemed to lather really well. It didn't have those microbeads so I didn't have any issues about hives. I noticed when I use the ones with beads I get so itchy. I would repurchase this. I only purchased this because I needed something cheap to add to an order for free shipping. It smelled nice, worked well. I wouldn't repurchase though just because it's a little more expensive that I'd like to spend on a hand soap. I got this in the lightest shade they offered, and I ordered it because Sephora recommended it for my skin type. It's VERY watery. I liked it when I first got it (3 years ago) and I've been using it off and on. 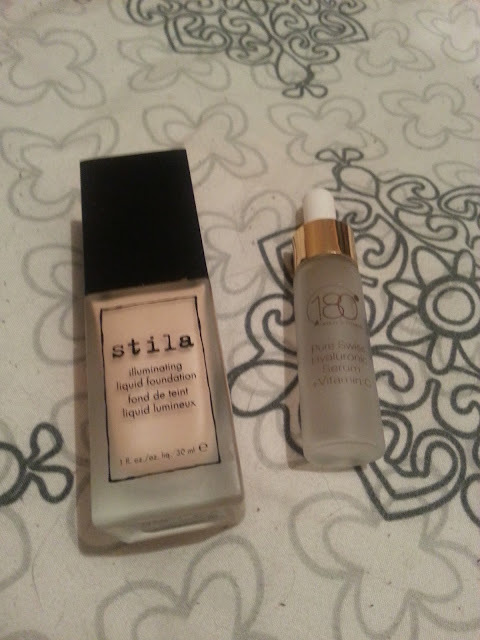 My skin has changed over the years, and now it hates this foundation. It's too watery, it clings to dry patches SO bad, it doesn't look like it gives any coverage at all. I ended up tossing this because it's just been a let down, plus it's old, so maybe that has something to do with the crappy quality. I would not repurchase this. I did a review on this in May. I wasn't a huge fan of this serum, but I used it up because my skin needed that extra moisture boost and the size was tiny anyway. It was nice because it was free, but it didn't rid my dry patches. I wouldn't repurchase this. This smelled nice at first, but as time went on it began to smell like plastic. It wasn't the most moisturizing for me. I like the idea, but I didn't like the product too much. I got maybe 3 uses out of this. I wouldn't repurchase. I purchased this last year. 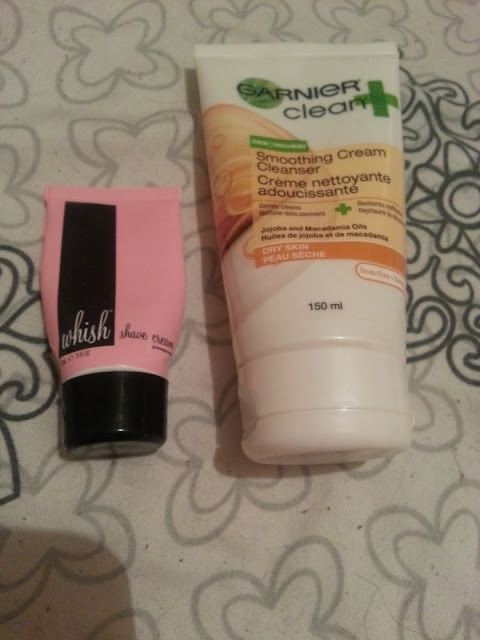 I only did because I got the oil cleanser as well, and I figured it would be nice to use both in the line. As time went on, I rarely used it because I just didn't like it. I don't like the floral scent, it was creamy but it also foamed which means it's soapy and just not good on dry skin. 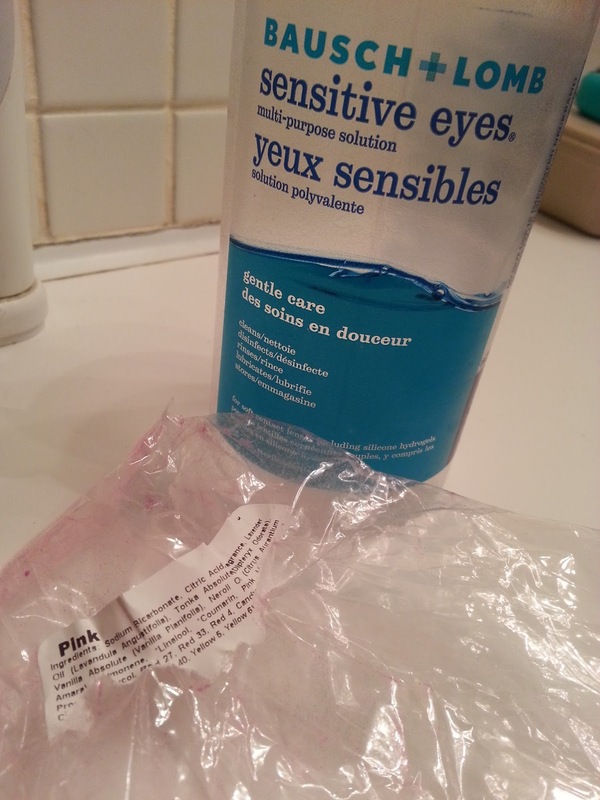 I didn't notice anything amazing happening with my skin, so I wouldn't repurchase this. I'm glad it's finally done. This is my usual brand. 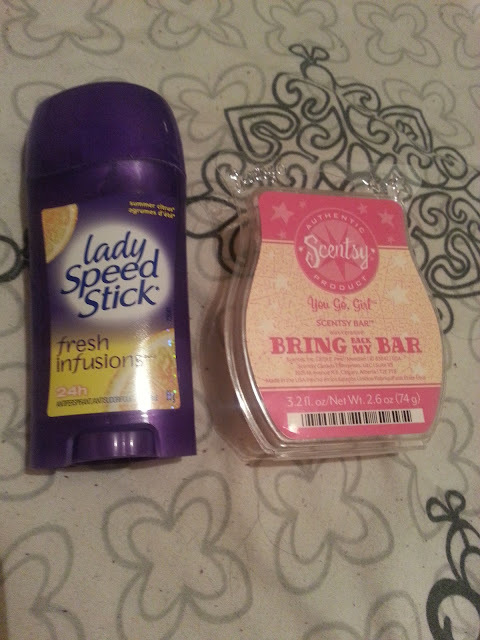 I love all the different scents. My only complaint is that it sometimes leaves white marks on clothing. I have a ton stocked up, so I have already repurchased. Scentsy Wax Bar - You Go, Girl! This is an old scent which was a part of a bring back my bar promotion. It was fruity and floral. A bit hard to describe. I wasn't a huge fan of this one, so I'm happy it's done. I wouldn't repurchase this scent, but I love scentsy in general. We ran out of our normal contact brand, and decided to pick this up instead because it was on sale at Wal-Mart. 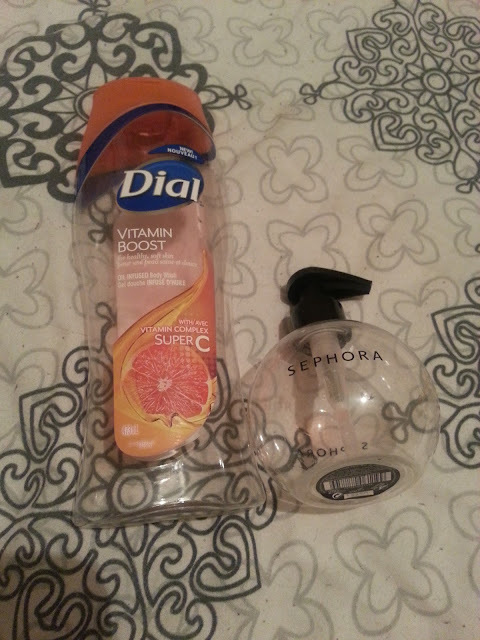 Two full sized bottles for like $11. It worked well, and was gentle. I liked this, my boyfriend didn't. When it ran out we went back to the usual brand. I would repurchase this though! 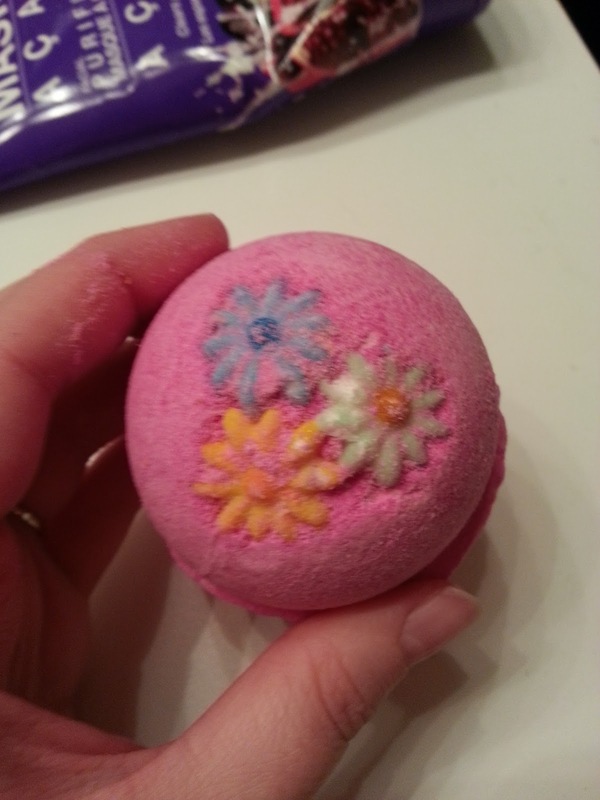 This was the first time I've used a bath bomb and I loved it! I can't wait to purchase more. Only thing I disliked about this one is that it left a pink ring around my tub. I made sure to spray it down with cleaner right after so it didn't leave a stain forever. But who wants to wash their bath tub each time they get out of a relaxing bath? Not me. So I wouldn't repurchase this specific one, but it smelled great and I can't wait to try other bombs! This came in that bath box that I won a month (or two...) ago! I have to say, I was NOT a fan of this, at all. 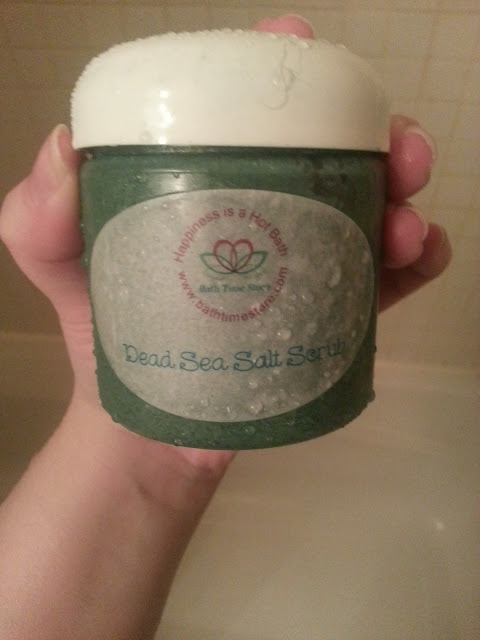 I was super excited to try it because I've never tried a body scrub before. It smelled great too. What was not great was that the top layer was oil. No big deal, I stirred it. Yeah, that oil covers your entire body, and even with scrubbing, it did NOT come off. My body stayed oily and the bath tub was so oily and slippery. Not just that, there was glitter in it, so it left me glittery, AND because it's green, it stained my skin, and stained my loofah. It was a mess. I wouldn't repurchase this, ever.